The rapidly changing San Carlos real estate market has sent prices in some areas of the city into uncharted territory. While this news is applauded by current San Carlos homeowners, it is having the opposite effect on some other groups around San Carlos. The identity of some of these groups is obvious. With others, it’s not so apparent. While historically low interest rates and an improving economy are both contributing factors to the sudden turn around in the 2012 market, the record low inventory, more than anything else, is the main culprit. Just how bad has the inventory been in San Carlos this year? I like to use May 15th as the high watermark for Active properties in San Carlos each year. In previous years, San Carlos inventory has hovered between 65-77 Active properties on this particular date. This year we had a total of 28 Active properties on May 15th. That number never really changed all year. We flirted with slightly higher numbers for Active properties a few times, but the inventory was immediately brought back down to the mid-20s. Currently, we are sitting at 22. The moral of the story is that we are just not off by a little with regard to inventory, we are off significantly. The more tightly the San Carlos real estate market grips its inventory, the higher prices go. Remember, we have a serious backlog of buyers from 2009-2011. Many of these buyers chose not to purchase at that time as they were trying to time the bottom of the market. We now have that three-year backlog, combined with the new buyers of 2012, and we are trying to squeeze that now-massive buyer pool into record low inventory. It simply does not add up and that is the primary reason you are seeing prices launched into the stratosphere in San Carlos. While this is great news for San Carlos sellers and current property owners, the news is devastating for San Carlos buyers. Many who had their heart set on a 3/2, with a solid floor plan in the flats for $1,000,000 or under, are currently priced out. The market has simply passed them by. In my podcast last week, we took a look at the last four 3/2s between 1,400-1,800 square feet to sell in the flats. The average closed price for those homes was $1,270,000. Unless the market suddenly slows dramatically, many of those buyers are going to come face to face with a very tough reality. There are other groups that have been affected negatively as well. While I do not see many people shedding tears for realtors, they are a group that has been hit very hard by the lack of inventory. 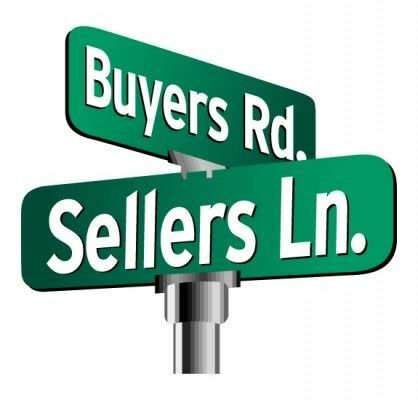 It’s just not San Carlos realtors who have taken it on the chin, but it’s other groups who are connected to the realtors such as support staff, property inspectors, stagers, title and escrow companies and local mortgage brokers. All of these groups have been hit hard and it is coming at a time when those same groups had pretty tough years 2009-2011 with the decline in the market. There is a light at the end of the tunnel. 2012 caught many by surprise. For myself, I knew 2012 would be better than the previous three years, but I never saw this coming. I believe most sellers did not see it coming either and it most likely took them by surprise. The good news is that many sellers will now have the confidence to consider a move in the market in 2013, believing the market has rebounded from previous lows. Hi, Bob. What do you think are the likely causes of the inventory being so low compared to past years? Is it because of more off-market sales? It seems that as prices rise, those sellers who were on the sidelines should be listing in greater numbers. I saw your post from 10/17 on the three groups that compose the bulk of the sellers. I think off-market sales have taken a little bit out of our inventory numbers, but it is not the primary reason for our low levels. Many people were trying to hold their homes until the market improved. Selling in 2009-2011, usually meant selling with a loss off previous highs. I think if more sellers knew just how good the market was going to be this year, they would have planned for a 2012 sale. Again, it took just about everybody by surprise. With this knowledge in hand, I would bet that you see better inventory numbers in 2013. Responding to your second post…yes, I think that is exactly what is going to happen. Many are hesitant to list right before the holidays. In every other year, I would agree with this, but not for 2012. Nothing wrong with listing your home over the next few weeks given our current environment.